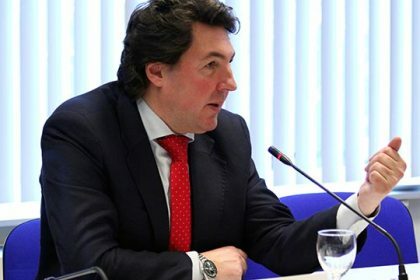 In an interview with the state news agency Armenpress on the recent clashes in Nagorno Karabakh, Mr. Eduardo Lorenzo Ochoa, EuFoA Director, stressed that the lack of respect of international law and the basic principle of non-use of force has resulted in the gravest military escalation since the cease-fire was signed. “I am hopeful that the reaction of the international community, the European Union and the good sense of Nagorno-Karabakh and Armenian authorities will prevent a new war erupting in Europe. This is still one more proof of the lack of commitment of the Azerbaijani administration to a peaceful settlement, and explains also why they block every initiative of the OSCE-Minsk Group co-chairs, such as the deployment of the international cease-fire violation mechanism in the line of contact proposed since 2012. The European Parliament already recommended a set of sanctions to the Azerbaijani administration in its latest resolution on this country, I think it is high time to consider implementing them. Finally, I would also like to extend our sincere condolences to the families of the victims of this atrocious attack”, Eduardo Lorenzo Ochoa said. The Defense Army conducts successful defensive battles throughout all directions of the contact line, causing significant losses to the adversary’s manpower and equipment. According to the Defense Army’s data, Armenian forces downed 2 enemy helicopters, destroyed 3 tanks and 2 UAVs. The Ministry of Defense of the Republic of Armenia is in constant contact with international organizations and diplomatic/military representatives of foreign countries for necessary consultations and exchange of information regarding the developments on the contact line of Nagorno KarabakhAzerbaijani opposing forces.